What’s better than a happy hour with $1 tacos? A happy hour with $1 tacos that’s four hours long. Welcome to Los Tules, Mondays through Wednesdays from 4 to 8 p.m. 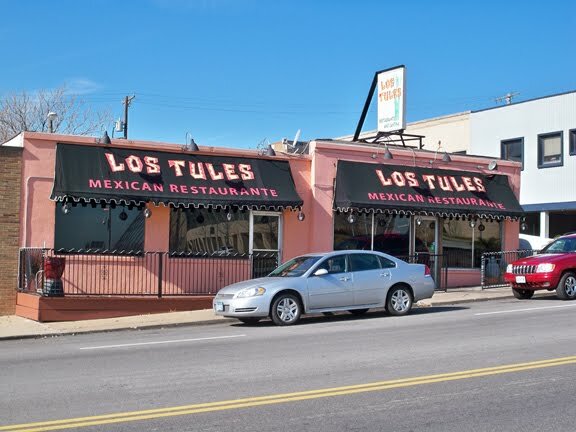 These are seriously awesome tacos, too. 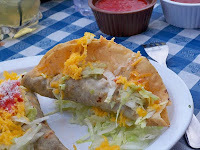 They’re fried-shut corn tortillas filled with ground beef, then garnished with a ton of cheese and lettuce. For maximum cheese delivery, turn your taco parallel to the ground and eat it like a stuffed nacho. Never let cheese go to waste.